Aarohi Realty was formed with the sole purpose of providing professional and honest REAL ESTATE services to its valued customers. The customers can count on us for all, property related requirements whether small or big and the customers would be served with the same enthusiasm. As a trusted real estate company, we are catering to the realty requirements of our clients under one roof - be it Sale, Purchase OR Leasing property, relocation services, investment in properties, property advice, property management, etc. We have a voluminous experience in sale, purchase and leasing of residential and commercial properties. We have a database of various clients who want to sell, buy and rent out their properties. We recognize and understand the need of our clients and assist them in finding a suitable property, which suits such requirements as well as budget. We maintain confidentiality about buyers/ sellers and conclude the deal at the best market prices. With the help of our vast database, we have successfully catered to the requirements of our clients having real estate needs in Vadodara, Baroda, Ahmadabad, Mumbai, Indore and Gujarat. Thriving on our transparent business dealings, we have created a niche for ourselves in the market. 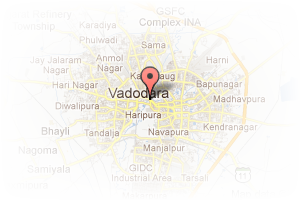 Address: 202, 2nd Floor, Rachana Residency, Opp. Akota Stadium,, Akota, Vadodara, Gujarat, India. 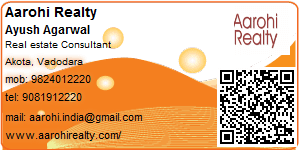 This Broker Profile page for "Aarohi Realty" has been created by PropertyWala.com. "Aarohi Realty" is not endorsed by or affiliated with PropertyWala.com. For questions regarding Broker Profiles on PropertyWala.com please contact us.